Modern research ethics arose as a response to the scientific and medical communities’ participation in the Holocaust. The Holocaust remains the only example of medically sanctioned genocide and thus can provide critical lessons regarding the importance of valuing basic ethical principles ahead of the potential for scientific progress in the contemporary context of research ethics. This chapter will explore the trajectory of research ethics using the Holocaust as an inflection point. It will briefly describe the difference between medical and research ethics before and after the Holocaust and then show how the lessons of the Holocaust not only influenced the creation of the Nuremberg Code but also the subsequent development of the Declaration of Helsinki, the Belmont Report, the Federal Policy for the Protection of Human Subjects (The Common Rule), and the International Ethical Guidelines for Biomedical Research Involving Human Subjects. The Holocaust is a unique event, both in the history of genocide and in the history of professional ethics. As an incidence of mass murder, the Holocaust is the only instance of medically sanctioned genocide, where mass murder was framed as an issue of public health and implementation of the state’s ethnic cleansing was overseen by the medical community through systematic labeling, persecution, forced sterilization, and eventual killing of those deemed “unfit” or racially inferior. In the history of American medical professional ethics, the Holocaust serves as a unique inflection point, where ethical standards in medicine and research went from being a priority internal to the medical profession to one that became subject to the oversight of society at large. This is not to say that before the Holocaust the medical profession was completely autonomous and without any legal or political relationship with the state in which the medical profession practiced. Rather, after the Holocaust, governmental bodies took a stronger regulatory stance, limiting the autonomy of the medical profession by holding them accountable to societal oversight and overtly attempting to influence the ethics of the medical profession in a way that did not occur beforehand. The limiting of professional autonomy through US state regulation was not an inevitable progression of medical ethics. In fact, as shown below, the lack of professional autonomy in Germany was seen as a defense for the actions of physicians in the Holocaust. However, after the Nuremberg Trials, the medical profession at large was no longer seen as being capable either of regulating themselves or opposing the type of political pressure that the Nazi regime imposed on it. What was seen to be needed was an international legal check on medical professional autonomy that could be incorporated into the laws of various states. This perception was not immediate in America, yet in the years after the creation of the Nuremberg Code, US law increasingly adopted regulations to prevent unethical practices and to hold those who engaged in unethical research accountable. The worldwide shock of hearing about the abrogation of ethics on the part of the medical and scientific communities during the Doctors’ Trial at Nuremberg became the impetus for the Nuremberg Code, which is widely accepted as the “constitution” of bioethics and research ethics (Caplan 2010). Exploring the genesis of the Nuremberg Code and its impact on subsequent codes of ethics is essential to understanding the development of modern research ethics. Given the type of research that medical doctors performed in the Holocaust that came to light in the Nuremberg Trial and the way in which it contradicted the values and ends of the medical profession itself, this chapter will focus on clinical research performed by physicians, though many of the ideas relate to other forms of scientific research as well. Contemporary bioethics, which we are defining as arising out of the Nuremberg Trials, consists both of medical ethics and research ethics, which are distinct fields with their own practical applications, even if they share the same ethical foundation. The former consists of regulating the ethical relationship between patients and physicians, while the latter regulates the relationship between subject and researcher. These two relationships are not exactly the same, since the goals of medicine and the goals of research differ. However, both subfields of contemporary bioethics are each founded on the same moral principles, i.e., respect for autonomy, non-maleficence, beneficence, and justice (Beauchamp and Childress 1979). While entire books have been written offering definitions for these terms, for the purpose of this chapter, they will be defined as follows: respect for autonomy is the principle that recognizes the right of individuals to make informed decisions and the need for healthcare professionals to respect those decisions. Non-maleficence and beneficence are complementary ethical principles; the former refers to the duty of researchers and medical professionals to avoid harming patients and minimize potential risk to them, and the latter refers to the duty of maximizing benefit either to the subject/patient or the larger community. The complementarity of these two principles ensures that patients or subjects will not be harmed for the sake of others and that treatments or research will not be pursued if they do not serve a purpose, even if they do not cause direct harm. Justice takes two forms, procedural justice is the principle which implies the duty to treat “like cases alike,” in other words, to provide fair and equal treatment of humans; substantive justice demands an equal distribution of the benefits and burdens of research so that the burden of research does not fall on any individual or particular population (Beauchamp and Childress 1979). Principles, such as non-maleficence and beneficence, have existed as part of the ethics of medicine from the time of the Hippocratic tradition and as part of the ethics of research since before the Nuremberg Trial; however, only after the Holocaust were principles, such as justice and autonomy, whether it be patient autonomy in medical ethics or respect for research subjects in research ethics, given priority. Moreover, only after the Holocaust did the perception of need arise for the existence of legal or societal instruments to hold physicians and medical researchers accountable for unethical conduct. Even when physicians and researchers were part of the group who created regulations and ethical guidelines for proper clinical and research conduct, the ethical authority did not rest solely on the profession itself to regulate its members. Rather, institutional and organizational bodies external to the profession began to impose ethical requirements on it. This external restraint was based in a global understanding of what was morally appropriate research, in order to mitigate potential moral relativism that could justify Nazi actions, yet legal accountability would be established by individual states. When physicians who took an oath to heal were put on trial at Nuremberg for crimes against humanity, which included forcibly performing experiments on prisoners of war that were tantamount to torture, both the prosecution and the defense reviewed the history of international medical/research ethics and those specific to Germany. This remainder of this chapter will provide a brief history of medical/research ethics starting with Germany yet will primarily focus on the United States, though it will touch upon certain international codes, noting the change in priority after the verdict and the publication of the Nuremberg Code. The influence of the Nuremberg Code on the development of subsequent codes of ethics, including the Declaration of Helsinki, the Belmont Report, the Federal Policy for the Protection of Human Subjects, and the International Ethical Guidelines for Biomedical Research Involving Human Subjects, will be examined. The latter portion of the chapter will shift focus to address significant issues that have arisen from the codification of research ethics, such as the necessity of informed consent, and the practical difficulties caused by a lack of adequate definitions for key terms within the codes. The current debate regarding what constitutes a vulnerable population and what types of special protection should be offered to these groups will be considered. We will conclude by proffering that the rapid pace at which medical science continues to advance necessitates a thorough reevaluation of the current state of medical/research ethics in order to ensure the protection of human dignity regardless of the possibility for scientific or societal advancement. Finally, the chapter will end with the suggestion for a paradigm shift away from the rigid protectionism that has resulted from the codification of ethics toward a moral professionalism that allows for developing a personal and professional code of ethics that guides future generations of researchers. In sum, the chapter will show that the Holocaust served as an important inflection point in research ethics, since it was the impetus for developing formalized regulations that were created and enforced by entities external to the medical profession, yet a consequence of this has been a reduction in the internal moral motivations of professionals to demand ethical integrity of the profession, as was found in pre-Holocaust medical ethics. Finding a balance between internal and external ethical imperatives requires synthesizing the ideological goals of traditional medical ethics with the practical needs of modern research ethics in order to encompass the benefits of both. While the explicit purpose of the Doctors’ Trial at Nuremberg was not to explore the concept of research ethics, the nature and magnitude of the trial led to the recognition of the need for a universal – or, at least, international – set of standards established by a governing body to ensure ethical human subject experimentation rather than continued reliance on ethical compliance that was internally motivated (Grodin 1992a). This recognition stemmed from the strategies of both the prosecution and the defense in the trial, which utilized the history of the ethics of the medical profession and physicians’ participation in research as part of their legal strategies to show how research ethics should be understood as an affair internal to the medical profession. The prosecution based their historical arguments on the work of Hippocrates, Thomas Percival, William Beaumont, and Claude Bernard, while the defense argued that in order to appropriately contextualize the behavior of German physicians operating under National Socialist rule, German professional codes of ethics must be used as the benchmark. Understanding the history of previous medical ethics writings and codes allowed both sides to offer a narrative of why medical professionals should or should not be held legally accountable for their participation in the genocide of the Holocaust. However, what became evident from the different arguments was that these moral writings and codes made medical professionals vulnerable to being manipulated by the social and political environment of the greater society in which the medical profession resided. Therefore, the Nuremberg court sought to mitigate that vulnerability through societally established legal codes, to which the medical profession would be held accountable. The Hippocratic Oath, and, more importantly, the ethical norms which it espouses and to which physicians held themselves accountable, is perhaps the most well-known and influential example of an explicit ethical standard to which physicians committed themselves. It was written between 470 and 360 B.C.E. and unequivocally states that the physician’s foremost responsibility is to act in the best interest of the patient: “I will follow that system of regimes which, according to my ability and judgement, I consider for the benefit of my patients, and abstain from whatever is deleterious and mischievous” (Grodin 1992a, p. 123). While the Hippocratic Oath was written well before the introduction of the four principles upon which modern bioethics and research ethics are grounded, Hippocrates’ writings emphasize the necessity of beneficence and non-maleficence in the care of the patient as a moral imperative of the physician. Moreover, despite never specifically referencing any type of human experimentation, the two principles should be extended to any activity in which a physician engages in relation to those who are vulnerable and under his or her care. Percival advocated for the necessity of scientific research in cases where traditional medical treatment has failed. His argument focused on the importance of research for the benefit of society, specifically the economically disenfranchised, as opposed to emphasizing the value of research for the well-being of the individual or any type of consent on the part of the patient. William Beaumont’s 1833 code of ethics expanded upon Percival’s work and included a directive regarding the absolute necessity of voluntary consent. Beaumont wrote, “The voluntary consent of the subject is necessary…The experiment is to be discontinued when it causes distress to the subject” (Grodin 1992a, p. 125). Beaumont’s work is significant in that it is the first documented code that includes the concept of informed (voluntary) consent, or what Beauchamp and Childress would later refer to as respect for persons/autonomy. Informed consent became the cornerstone upon which the Nuremberg Code was founded and, to this day, continues to be both a major priority and a source of great debate within the field. In 1865, French physiologist Claude Bernard published his seminal work, An Introduction to the Study of Experimental Medicine, in which he proposed his own principles of ethical human experimentation. Even if Bernard’s vision of experimental medicine may not have included the modern protocols of research trials, the ethical norms that he espouses are surely related. While Bernard’s code does not deal with informed consent, it does reference the preexisting Hippocratic ideals of beneficence and non-maleficence. It also touches upon the concept of justice by explicitly prohibiting human experimentation that harms a certain population solely for the sake of another population. This moral principle is the precursor to the research ethics concept of equipoise. The prosecution used each of these codes to argue that the history of research ethics mandates that the physician act in the best interest of the patient. The experiments that had taken place in German and Nazi occupied territories during World War II were clearly not examples of physicians acting in the best interests of their patients. However, the defense argued that the experiments performed by National Socialist physicians under the Third Reich could only be understood in context of German professional standards. Thus, they aimed to provide a brief history of German medical ethics pre-World War II. Much like German medicine and science, German medical research ethics, or the ethics of research performed by physicians, at the beginning of the twentieth century was much more advanced than the rest of the world. However, unlike in many other countries, the medical profession had a closer relationship to the German state and was thus more vulnerable to social and political influence, a point that was argued by the defense. On December 29, 1900, the Prussian Minister of Religious, Educational and Medical Affairs published a statement regarding human experimentation (Grodin 1992a). It is important to note that this document was issued by an official government organization, as opposed to the ethics literature written by Hippocrates, Percival, Beaumont, and Bernard. This document is also unique in that it specifically references both the needs of vulnerable populations and the necessity of informed consent. Not only does this document set forth theoretical principles, it also enumerates the exact methodology for conducting ethical experimentation with human subjects (Grodin 1992a). On February 28, 1931, the German Ministry of the Interior published a Reich circular entitled, “Regulations on New Therapy and Human Experimentation,” which included the majority of the tenets later cited in the Nuremberg Code (Grodin 1992a). Again, it is crucial to understand that these regulations did not arise from within the medical community, but rather from the government (Bruns and Chelouche 2017). In other words, even if members of the medical community participated in creating the circular, they did so as citizens with a political agenda. The circular was not created because of a perceived need by the medical profession itself. This document, published not long before the Third Reich rose to power, was considered to be far superior to any guidelines that had come before it and, ironically, even to many that came afterward, specifically the Nuremberg Code and the Declaration of Helsinki (Grodin 1992a). However, these documents did not invest authority to international or other regulating bodies to hold researchers accountable for unethical conduct, leading medical researchers to justify their actions as ethical when they complied with the politics and policies of the Third Reich. As World War II was officially beginning, Germany was at the forefront of physician medical ethics, yet the rhetoric of Nazi ideology politicized medicine and medical research. The Nazis created an entirely new field within medical education called Medical Law and Professional Studies. The goal of this field was to merge medicine and politics by inculcating a new generation of doctors with the ideological goals of the Nazi party, including “the unequal worth of human beings, the moral imperative of preserving a pure Aryan people, the authoritarian role of the physician, the individual’s obligation to stay healthy, and the priority of public health over individual-patient care” (Bruns and Chelouche 2017, p. 591). The paradigm shift that took place between the ethical codes issued by the government in 1900 and even in 1931 and the new curriculum that took hold in 1939 is significant. The new code of ethics under the Nazis abandoned the traditional ideals of respecting the person and acting in the patient’s best interest in favor of an ethos that valued the health of society and viewed the value of a patient in terms of whether he or she fit into the Nationalist Socialist agenda. It was this transformation of ethics, rather than what has traditionally been seen as a lack of ethics, that the defendants used to argue their case at the Doctors’ Trial. His opening statement included descriptions and accusations of the horrific acts of the physicians; however, it also served as a call to action regarding the broader topic of appropriate guidelines for human experimentation. As a result, while the main focus of the tribunal was on the behavior of the physicians on trial, questions about the lack of guidelines regulating human experimentation persisted throughout the tribunal. The publication of the Nuremberg Code was a pivotal moment within the history of research ethics. The creation of a universal standard for the ethical approach to human subject experimentation was revolutionary: however, the difficulty in translating the ideological goals of the Nuremberg Code into practical application soon became apparent. The Nuremberg Code was created in response to unspeakable abuses of human dignity and ethical misconduct within the medical profession. While the creation of the Nuremberg Code was a necessary step in the codification of research ethics and the development of accountability within the field, its unwavering focus on informed consent ultimately proved to be problematic, particularly for those attempting to conduct research meant to benefit populations incapable of meeting the very strict requirements for informed consent laid out by the Nuremberg Code. Also, despite the Nuremberg code, scandals of physicians conducting harmful research on subjects without their voluntary, informed consent continued. Over the next few decades, several other codes of ethics were created in response to these scandals. Each code attempted to fix perceived inadequacies found in earlier codes and respond to the violations of ethics brought to light by the most recent scandal. However, as research ethics developed as a field, the idea of voluntary informed consent began to come into question. From a theoretical perspective, it made sense that a researcher would always attempt to secure informed consent from a subject. However, this requirement precluded the possibility of engaging in potentially valuable research involving children or the mentally ill, who cannot give voluntary informed consent. This perceived obstacle established by the Nuremberg Code to protect vulnerable populations seemed to be preventing them from receiving possible advantages that could be gained through productive medical research. In response to this challenge, The Declaration of Helsinki: Ethical Principles for Medical Research Involving Human Subjects was published by the World Medical Association in 1964. Providing a mechanism for allowing research on populations who could not provide voluntary informed consent that conformed to the strict guidelines laid out in the Nuremberg Code appeared to be a primary factor in the decision to draft this document (Emanuel 2003b). The Declaration of Helsinki offered provisions for the consent of a legal guardian when the voluntary informed consent of the subject could not be obtained, thus meeting the practical challenges associated with conducting clinical research in the 1960s. When the Nuremberg Code was first published, medical researchers in the United States did not immediately see the relevance between what took place in Nazi Germany and research that was being done stateside. While the code had some impact on the methods of medical research performed through the Department of Defense, it had less influence on research funded through the National Institutes of Health (Stark 2011). Dr. William Silverman described the experience of American physicians as part of the Advisory Committee on Human Radiation Experiments’ Ethics Oral History Project as follows: “There was a disconnect…The interpretation of these Codes was that they were necessary for barbarians but [not for] fine upstanding people” (Faden et al. 2003, p. 8). However, after Henry K. Beecher’s 1966 article in the New England Journal of Medicine exposed 22 research violations conducted by leaders in the field at major research institutions throughout the country, the ethics of human experimentation began to receive more attention. Only after the details of the Tuskegee Syphilis Study were made public was the National Research Act was passed into law in 1974 and the National Commission for the Protection of Human Subjects of Biomedical and Behavioral Research was created (Emanuel 2003b). One of the most important tasks of the National Commission was to produce a statement of ethical principles that would govern research with human subjects and prevent ethical transgressions like Tuskegee from recurring. On April 18, 1979, the Belmont Report: Ethical Principles and Guidelines for the Protection of Human Subjects of Research was published by the National Commission for the Protection of Human Subjects of Biomedical and Behavioral Research (Emanuel 2003b). This document was founded on three principles that were “generally accepted in our cultural tradition: ‘respect for persons, beneficence and justice’” (Emanuel 2003b, p. 26). The Belmont Report also attempted to delineate boundaries between practice and research and provide clear definitions for terms so as to avoid issues in a practical setting. Despite the previous international and national codes, the United States recognized the need for an administrative law that could implement practical guidelines for ethical research and delineate particular norms that could be followed in practice. The US Department of Health and Human Services, National Institutes of Health, and Office for Human Research Protections published the Federal Policy for the Protection of Human Subjects, also referred to as The Common Rule, in 1991. The Common Rule was heavily influenced by both the Declaration of Helsinki and the Belmont Report; however, it differs in certain significant ways. First, the Common Rule established guidelines that were mandatory for institutions receiving financial support from the federal government. It also created a method for overseeing these experiments in the form of Institutional Review Boards, or committees that review research methodology to ensure the ethical nature of the experiment at various points within the process. The Common Rule also extends special protections to experiments pertaining to vulnerable populations: pregnant women, human fetuses, neonates, prisoners, and children. Within the United States government, there are currently 20 agencies that have signed on to follow the revised version of the Common Rule that went into effect in July 2018 (United States Department of Health and Human Services 2018). The fact that these regulations are compulsory for institutions receiving federal support and that the document established a means by which to enforce these guidelines makes the Common Rule unique among ethical codes. The CIOMS guidelines incorporate the principle of justice and aim to ensure that those who are exposed to the risks of research also benefit from potential rewards, which had been a concern raised by the advent of clinical trials for HIV/AIDS drugs conducted by pharmaceutical companies in developing countries. Those who take this view contend that autonomy is the key component not only to the Nuremberg Code but to any meaningful code of ethics. It is the autonomy of the individual that is paramount, not the level of risk or the methodology by which one obtains consent. Autonomy and respect for persons became a central tenet in bioethics and research ethics; however, its practical application and regulatory oversight has proven to be problematic in many cases. This was the primary motivating factor behind the development of the Declaration of Helsinki and subsequent standards. Removing the strict requirements for voluntary informed consent was seen as a way to make it easier to include a broader audience of research participants, thus fulfilling other bioethical principles such as justice due to fair subject selection, and later laws like the Common Rule made sure that researchers would comply with these rules in order to secure their funding. Seen from this perspective, mandating voluntary informed consent negates potential societal benefits that could be gained from experiments that pose extremely minimal risks to the subject. Rhodes contends that the strict regulations make it impossible to conduct what she terms “de minimis risk” experiments, i.e. : those “involving only negligible physical, social, or psychological risk where nothing inherently dangerous, such as using identifiable leftover blood sample, is done to the body” (2014, p. 37). She states that there should be no requirement to obtain informed consent for studies that pose de minimis risk and that attempts to protect individuals from any and all potential risks are hindering scientific advancement. “Policies that consider only the risk, and deliberately ignore the possible social benefits that research could provide,” Rhodes asserts, “express a distorted view of what ethics entails and therefore produce regulations that are ethically flawed” (2014, p. 38). The concept of informed consent that was at core of the Doctors’ Trial at Nuremberg remains the focus of much debate within modern research ethics. In addition to the problems surrounding the term “informed consent,” the lack of adequate definitions for key terms within subsequent documents have continued to cause ambiguity and controversy for the field. Designating where research ends and therapeutic treatment begins, in particular, has generated much contention. The American Medical Association was concerned that the Belmont Report would intrude upon the “ordinary practice of medicine” and thus ensured that the final document would contain a section delineating the “boundaries between biomedical or behavioral research involving human subjects and the accepted and routine practice of medicine” (Schrag 2014, pp. 288–289). Ultimately, after confusion about phrases such as “social research” and “generalizable knowledge,” the Belmont Report defined practice as referring to “interventions that are designed solely to enhance the well-being of an individual patient or client and that have a reasonable expectation of success. The purpose of medical or behavioral practice is to provide diagnosis, preventative treatment, or therapy to particular individuals” (The National Commission for the Protection of Human Subjects of Biomedical and Behavioral Research 1979). Research is defined as “an activity designed to test an hypothesis, permit conclusions to be drawn, and thereby to develop or contribute to generalizable knowledge (expressed, for example, in theories, principles, and statements or relationship). Research is usually described in a formal protocol that sets forth an objective and a set of procedures designed to reach that objective” (The National Commission for the Protection of Human Subjects of Biomedical and Behavioral Research 1979). While the National Commission and the American Medical Association worked in tandem to create definitions that would be mutually beneficial to professional organizations and associations working in both the fields of medicine and research, scholars have noted that in practice, it is extremely difficult to differentiate between clinical research and medical practice when patients are recruited for clinical trials. Chalmers stated, “Because episodes of illness and individual people are so variable, every physician is carrying out a small research project when he diagnoses and treats a patient” (Levine 2003, p. 103). Annas and Grodin assert, “It is probably fair to say that modern physicians believe that anything they do to one of their patients is, by definition, treatment. This, of course, is consistent with the Hippocratic ethic of acting only for the benefit of one’s patient” (1992b, p. 308). Even in instances that are purely research-based, the history of the doctor-patient relationship can unwittingly cause issues. While their intentions may be good, researchers who stand in front of their subjects wearing a white coat may automatically bring about images of the doctor-patient relationship which can complicate the researcher-subject relationship. Experiments that take place in hospitals can further confuse subjects who are conditioned to thinking of hospitals as a place to go for treatment. (Katz 2003). In order to effectively distinguish research from the practice of medicine, bioethicist Edmund Pellegrino argues that definitions alone are not enough. The process of informed consent must include a conversation in which the separation between physician-scientist and physician-healer is made abundantly clear. He states that “[t]he physician can easily obtain consent to an experimental protocol simply by emphasizing the hope of cure and downplaying the risk and the experimental nature of the treatment” (Katz 2003, p. 211). Conflating the relationship between clinical research and medical practice clearly poses potential risks to patient-subjects. What Makes Human Subject Research Ethical? It has been over 70 years since the publication of the Nuremberg Code, yet society continues to struggle with the same question: “what makes human subject research ethical?” The codification of ethics rests on the four basic principles of bioethics: autonomy, beneficence, non-maleficence, and justice. Yet despite the theoretical similarities within the codes, each of these principles is reflected differently in various documents, and their practical applications remain problematic. The article then contends that while there are no guidelines currently in existence that include all seven requirements, each condition was chosen because it represents a “fundamental protection” that exists at the foundation of every document that was synthesized as part of the creation of these guidelines. In addition, these requirements were created to be universally applicable, although their specific use may entail adapting the document to the needs of a particular culture. The seven requirements proposed by Emanuel and his colleagues include social or scientific value, scientific validity, fair subject selection, favorable risk-benefit ratio, independent review, informed consent, and respect for potential and enrolled subjects (Emanuel et al. 2000). Judging the seven requirements against the four moral principles on which modern bioethics and research ethics were founded, it is obvious that there is much overlap. Emanuel and his colleagues began with the foundation of research ethics, reviewed and synthesized various codes of ethics, and then developed an updated list of principles that are easier to utilize in practical settings and more relevant to a global audience. In the seemingly unending quest to answer the question, “What makes human subject research ethical?” these seven requirements lay the foundation for the next steps in the trajectory of research ethics. Reevaluation of Research Ethics: How Can Codes of Ethics Be Standardized and Enforced? Ethical guidelines for human subject research continue to be reevaluated in order to better protect the dignity of the individual while still allowing for the advancement of medical science. The history of the codification of research ethics has proven that despite the theoretical and foundational similarities, there is a lack of standardization and cohesiveness among ethical guidelines. Differing opinions regarding the definitions of key terms and an absence of a centralized governing body to enforce these guidelines further complicate their use. These issues were clear to the judges during the Doctors’ Trial at Nuremberg and have been cited as one of the reasons behind the inclusion of the Nuremberg Code as part of the legal judgment that was delivered at the tribunal. Their strategy was to incorporate the Nuremberg Code into international criminal law, thereby ensuring that its repercussions would be felt throughout the world for generations to come. In addition, the judges recognized that while the legal validity of ethical codes was uncertain, violating international law would have definitive harsh penalties (Grodin 1992b). However, because the judges did not offer a concrete method for enforcing the Nuremberg Code, it was impossible to practically implement (Emanuel 2003a). The history of research ethics has proven that “although a code is necessary, it is insufficient to safeguard human rights in human experimentation…The courts of individual countries, including the United States, have consistently proven incapable of either punishing those engaged in unlawful and unethical experimentation or compensating the victims of such experimentation” (Annas and Grodin 1992b, p. 309). 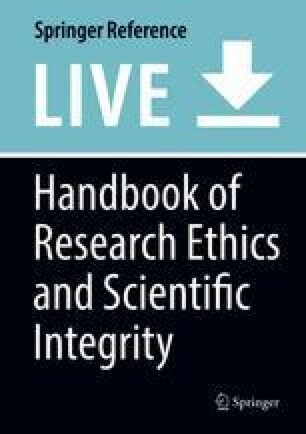 As each new code of ethics was introduced in response to a major scandal within the field of research ethics, it became even more apparent that these codes were not preventing legal or ethical abuses within human subject research. Since the publication of the Nuremberg Code, examples of unethical instances of human subject research abound: the Willowbrook Study, the Brooklyn Jewish Chronic Disease Hospital, the Tuskegee Syphilis Study, and drug trials in developing countries are just a few of the instances that triggered revisions in preexisting codes of ethics. As medical technology has continued to advance, criticism about the usefulness of ethical regulations within the current research environment are growing. There are increasing concerns regarding “new medical devices, genomics, the Internet, mobile technologies, and stem cell research – all of which have revolutionized how and by whom research is conducted” (Davis and Hurley 2014, p. 12). The rapid pace of medical and scientific advancement is going to create new challenges for the development of ethical guidelines for human subject research. In his groundbreaking work, The Structure of Scientific Revolutions, Thomas Kuhn presented a theory explaining the cycle of progress within scientific fields. Very simply put, Kuhn asserted that change does not result from the accumulation of new knowledge. Rather, scientific knowledge advances when the old way of thinking about a topic no longer works and a new model must arise to take its place. In this situation, a paradigm shift may occur. The old model is no longer able to sufficiently serve as a reliable guide for solving problems, and a new model emerges that is better equipped to handle the challenges of the field (Kuhn 1962). While this model crisis first occurred after the Nuremberg Trial, it is occurring again today. Rather than continuously revising codes of ethics, it is necessary to reevaluate the entire approach to research ethics and to create a paradigm shift. This does not mean abandoning the values that became dominant as a result of the Nuremberg Trial; rather, it means that new regulations and ethics codes must incorporate those values in a way that allows them to remain consistently prioritized in our changing world of medical research. Modern research ethics must redefine itself in a way that will both protect the rights and dignity of individuals while also meeting the demands of an ever-changing scientific world whose goal is to improve the welfare of society. The system in use is failing researchers, subjects, and society. Instead of constantly attempting to revise ethical guidelines, as has been the case since the inception of the Nuremberg Code over 70 years ago, a new paradigm must be established that emphasizes the responsibility of the researcher to prioritize the well-being of the subject first and foremost. Even before Beecher’s landmark 1966 article exposing research violations in major US institutions, he had already expressed doubts about the efficacy of using guidelines to regulate ethical human subject research in his response to the publication of the Nuremberg Code: “It is not my view that many rules can be laid down to govern experimentation in man. In most cases, these are more likely to do harm than good. Rules are not going to curb the unscrupulous. Such abuses as have occurred are usually due to ignorance and inexperience” (Advisory Committee on Human Radiation Experiments 1996, p 90). Instilling a moral ethos within the profession will ensure that researchers are treating individuals with dignity and respect not because a code of ethics tells them to, but because it is the right thing to do. This is a synthesis between the priority of maintaining an internal morality of the profession that existed before the Holocaust and the priority of external oversight and regulation that existed after the Holocaust and continues today. It is a fallacy to believe that Nazi doctors acted without any type of moral motivation. The history of medical ethics in Germany up to and including World War II has proven that there was, in fact, a relatively advanced and formalized system of ethics being taught and instilled into physicians. Rather, their ethics were corrupted by a National Socialist (bio)political ideal that stressed the worth of certain individuals over others based on their value to the nation (Proctor 1992). Thus, it is important to understand that medical and research ethics do not exist independent of society, yet physicians and researchers must also have the ability and integrity to go against society’s mores when they become corrupted. As Bruns and Chelouche have argued, “[t]he prevailing medical ethos can be strongly determined by politics and the zeitgeist and therefore has to be repeatedly negotiated” (2017, p. 591). We have seen that ethical guidelines are often created in response to events within a culture or within a historical time period. As a result, these guidelines are equally likely to be influenced by the prevailing cultural or political zeitgeist. This is why they have been – and continue to be – repeatedly negotiated. Recognizing that the Holocaust has served as a historical inflection point in the development of medical and research ethics can allow us, as a society and a community of bioethicists, to develop a personal and professional ethos that values the dignity of the individual in a new paradigm, one that also emphasizes the moral dimension of professionalism, where both the motivation to act morally and what defines moral practice are grounded in professionals reflecting on the ends and values of the profession of medicine itself (Pellegrino 2014). While regulatory systems like peer review and informed consent can certainly help prevent ethical abuses from occurring, ultimately focusing on professionalism suggests that a person’s own moral compass, as it inheres the values of the medical profession, can serve as an internal guide to ethical behavior and a check to potential external societal pressure. In this way, both external restraint, as derived from regulations and administrative codes, and internal motivation, stemming from the ethos of medical professionalism, would be a better guide than either one or the other alone. Teaching about the ways in which the moral compass of the Nazi doctors was corrupted by forces from outside the medical profession is important. Understanding how these physicians abandoned their professional moral ethos out of deference to social and political pressure and transformed from healers to killers demonstrates the “ease with which a contemporary ideology – one that promises a better future for our country – can undermine ordinary, ‘good’ doctors’ core ethical obligations to the primacy of patients’ interest” (Cohen 2010, p. 205). External codes of ethics have proven time and again to be a double-edged sword, regulating professionals while also being subject to the pitfalls of politicization. Shifting away from relying solely on a paradigm of codification toward one that also consists of moral professionalism will allow future generations of researchers to develop an internal motivation to act ethically that will guide them to do the right thing, not because they are required to do so but because they truly believe it is the ethically sound decision. Modern research ethics arose as a response to the scientific and medical communities’ participation in the Holocaust. After the Nuremberg Trial, the recognition of the vulnerability of the medical profession, both in relying solely on self-regulation and in its potential politicization, created the impetus to create and continually revise international codes of ethics and adapt them to individual countries as a way to prevent unethical conduct in medical research. A consequence of this codification was an erosion of an internal ethical motivation derived from the ethos of professionalism. This erosion prevented the effective implementation of these codes of ethics, since the values embedded in the codes were not reinforced through professional integrity. It is time for another paradigm shift within research ethics that creates balance between an internal motivation to conduct medical research in a professional way and a reliance on external oversight to prevent unethical individuals from influencing the practice of research deleteriously. The lessons learned from the Holocaust in both the American and German experience can provide a valuable educational framework for exploring the necessity of professional autonomy in addition to ethical regulations.